At times being busy is good as you don’t get to hear or read any news but then how far can you escape from truth. 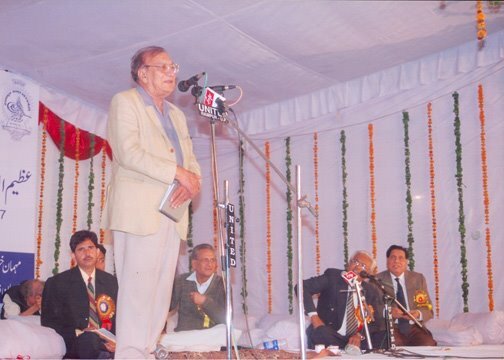 Yesterday was busy but today when I checked news, I read Ahmad Faraz died on August 25th, 2008. It is shocking news though I know his health was not so good. But it was one of the best ways to see that we still have great Urdu writing poets, who are compared with Mohammad Iqbal and Faiz like great poets. I am like a hungry person running around to read about him and his news, probably to make sure that the news is not just a rumor as I remember this was a rumor one time. 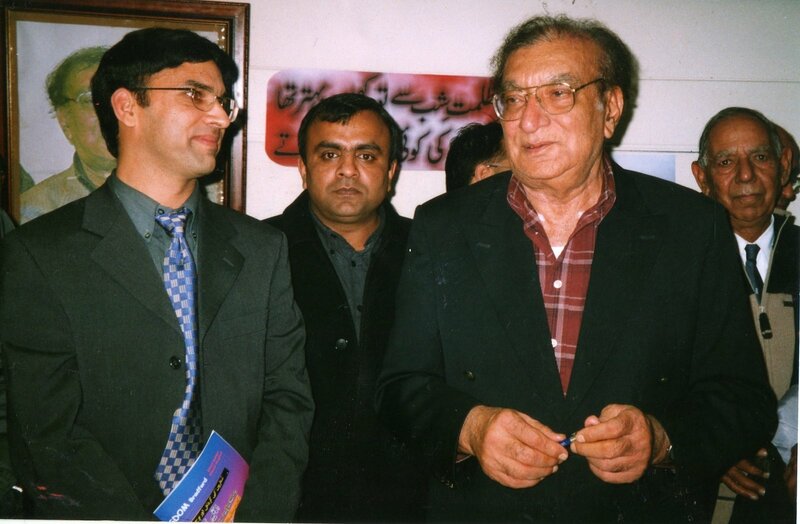 I feel the emptiness though I have never met the poet personally but Ahmad Faraz being one of my favorite poets, I always kept him near my heart just like Javed sahib and Gulzar. He was told by his parents once to learn mathematics from a female class fellow during the summer vacation. “I was weak in mathematics and geography. I still don’t remember maps and roads”. Instead of learning mathematics he played bait-bazi with her, a game in which one person recites a couplet and the other one recites another couplet starting from the last letter of the previous one. He always lost, even though he memorized hundreds of couplets for her, but when he started manufacturing his own couplets she couldn’t catch him anymore. Coming from a respectable family of Syeds, descendents of ”Haji Bahadar” a famous saint of Kohat, he moved to Peshawar with entire family. Studied in famous Edwards College, Peshawar and then did his Masters in Urdu and Persian. Initially Syed Ahmad Shah Faraz thus became Ahmed Faraz. During his college time, Faiz Ahmed Faiz and Ali Sardar Jafri were the best progressive poets, who impressed him and became his role models. 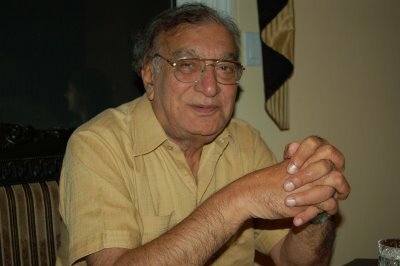 Ahmed Faraz initially worked as a script writer at Radio Pakistan Peshawar and then moved on to teach Urdu at Peshawar University. In 1976, he became the founding Director General (Later Chairman) of Pakistan Academy of Letters. On this day I would like to share one of his poetry translated in English and I pay my condolences to his family and his fans. Die with the death of the body. Do not bow down even in graveyards. WOW he sounds like a GREAT person and a FANTASTIC poet. Im sorry to hear he passed on. But this post from a person who has never met him, shows how much of a LEGACY he has left behind! It just shows how much he cud reach out to ppl from his Writing. And thats what matters in the end. How much u hv reached out to others. So, he did very well in life. May his soul rest in peace!Keshi. 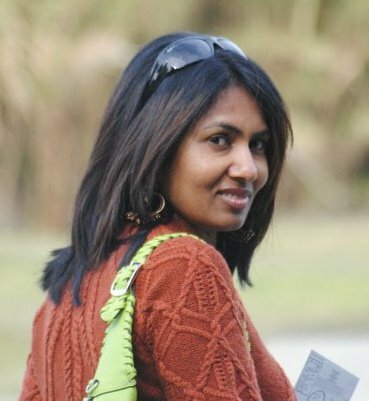 DawnI am not that familiar with Urdu poets… Thanks for introducing this poet to me. His poem translated into English was good enough to me forcing me to search for some of his works, if translated in English is available.Dreams never die, as he had penned brilliantly..Words too, never die..🙂May his soul rest in peace. my Dad told me today morning about him. I also came to know abt famous ghazals by Ahmed faraz which were performed by Mehdi Hasan – Ranjish hi Sahi & Ghulam ali.. – Aise chup hai…and many more.. I think he had great art of describing feelings on paper… Music Industry will surely miss him.. May his soul rest in peace. not famliar with this poet either, but sounds like a great person.Thank you for all the info about him atleast now I know something of this great poet. Thanks for the great infor’ Dawn. I think he will live in his words where he left in many peoples mind which will stay forever and remembered. Ab ke ham bichade hain to shayad kabhikhwabon me milen,jis tarah sookhe hue phool kitaabon me milen.He lived his life, he passed away. Unki likhi ghazlein to pehle bhi suni thin par jab bahas join kiya tab as a shayar unki tamaam mashhoor ghazlon ko padhne ka mauqa mila.We chale gaye hain par unki nazmein aur ghazalein humare dil o dimaag mein rahengi.